Considering to build a social media analytics application? Wondering as for how to build a polished, featured and insightful mobile app that can be a torchbearer and weapon of success on the battlefield of social media marketing landscape? Root Info Solutions, your social media app development company has got the answer. Before you jump into social media analytics application development, you should know who is your audience and what do they expect from you or your app. Who is your audience? Your audiences are brand managers or brand communication experts, social media marketing experts or digital marketing analysts. What are their key responsibilities? Make strategies for Brand Awareness, Brand Visibility, and Brand Communication. Push brand positioning across all customer segments. To ensure improved client retention and brand loyalty by driving client engagement activities. How engaging is my content? Who are the key influencers in my industry? So your social media analytics app development concept should provide means to them to simplify their tasks with built-in features. Doing so, you would be helping them perform their duties exceptionally well, and that’s the recipe for a successful business - to help others and make a difference in their lives. Consider building your social media analytics app for web and mobile. At Root Info Solutions, we can help with both. 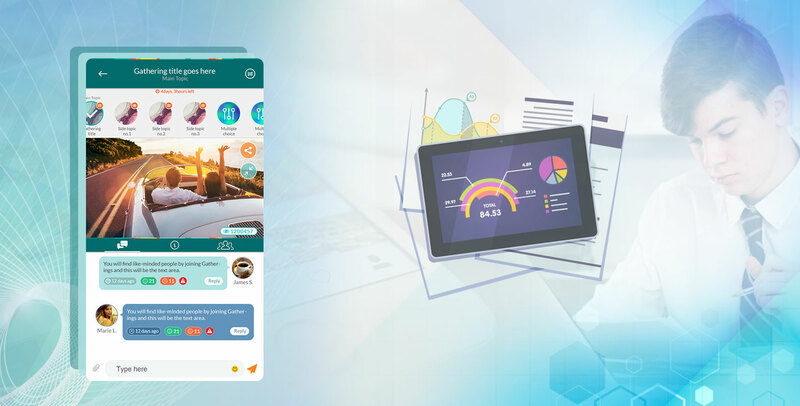 We are a team of UI-UX designers, web developers and Android and iOS developers having hands-on experience with various web and mobile technologies. So, you have a world of opportunities to capitalize on. However, you are not the first to think so, and there are already big players in the market. Despite all, you can have your space, provided you are honest in solving the social media marketing challenges for your users. Curiosity is a human instinct. In fact, some wise soul has put it correctly interest is the mother of invention. Let your social media analytics app help your audience with insights on the marketing content posted on the web or your website and provide them recommendations as who to move forward with their social media marketing endeavor.